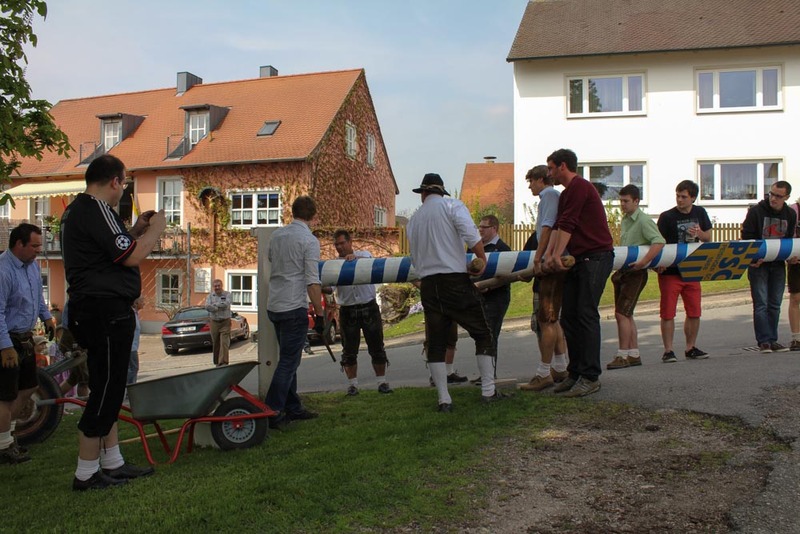 Raising A Maypole – Sunshine. Whimsy. Tacos. 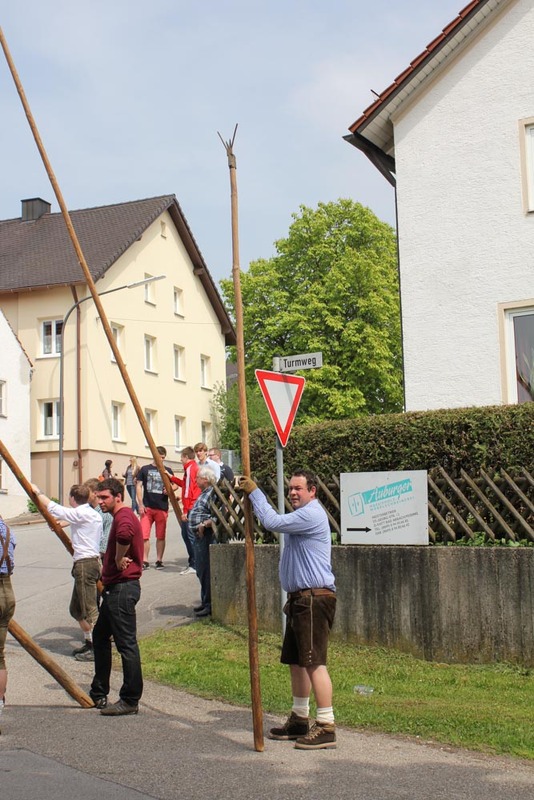 On the first of May last year, I wrote a little bit about May Day, and about Maibäume, or maypoles. This year, I got to see the raising of a May Pole up close. My partner-in-crime Jenny and her boyfriend were planning on going to a raising in nearby Peising and invited me along to hang out with the Village People. (I mean the people who live in the village of Peising, not the band with the cowboy and the construction worker. I would actually have enjoyed having a beer with them too.) 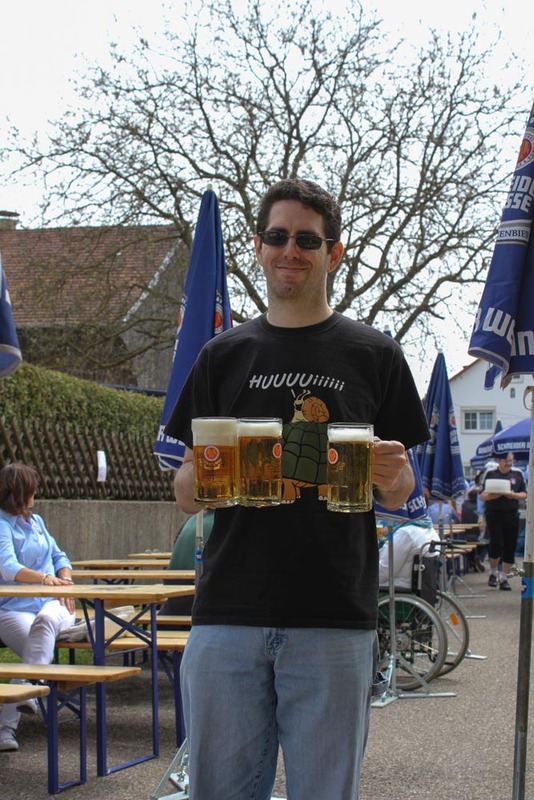 Since the day is a public holiday in Bavaria (no work!) I had nothing else planned, so I took them up on their offer. I’m glad I did, because it was actually a lot of fun. 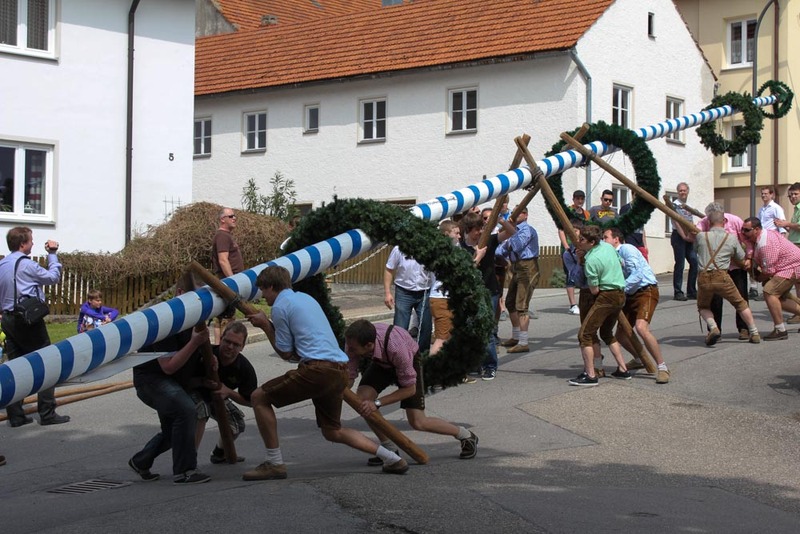 First of all, a May Pole raising is often held with all the elements of a traditional Bavarian beer-fest. 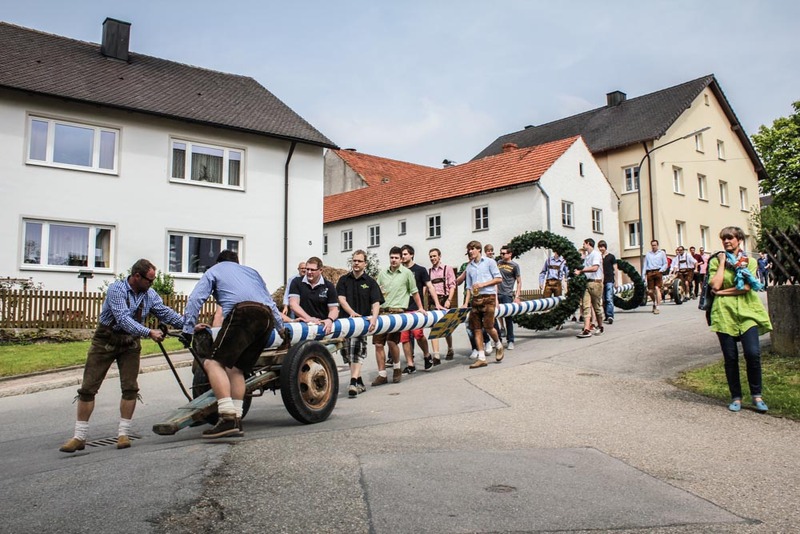 There are beer garden styled tables and benches, lots of people in Tracht (lederhosen and dirndls), and even some live musical entertainment. This was also kind of a family event, and I have to just say- kids in Tracht are incredibly damned cute. These three pictures are proof of that. 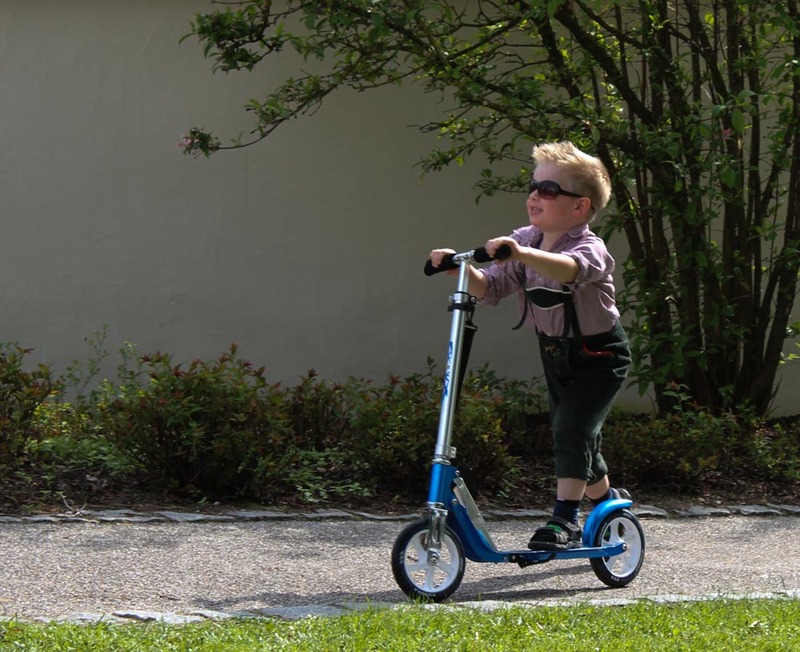 Also, the little kid on the scooter is kind of an adorable badass with the sunglasses and the spiky hair. He was my favorite Bavarian kid all day long. The process of raising the pole took around 45 minutes, but Robert says it can be done much faster if people really want to. It starts with everyone lining the pole up with its metal base so that a primary spike can be put through it to anchor it in place. Next, they use smaller wood poles connected by barbed wire (seen below) to prop the pole up and to lift it in increments. 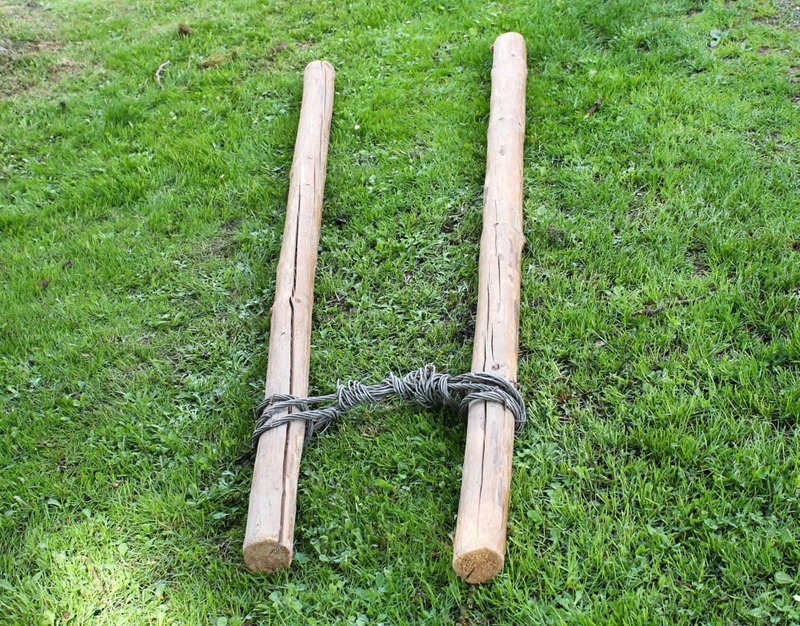 These tongs are in varying lengths, and the longest are nearly as long as the Maypole is tall. The group would lever the pole up slightly, then move one or two of the sets of tongs further down the pole, then another lift. This is repeated until the pole is completely vertical. These next few photos show what I’m talking about. There’s a secondary type of pole, seen here, which is used to help guide the longer sets of tongs when they’re quite a large distance above the ground. A “spotter” with one of these stands under the far end of the tongs to help steady them while they are being moved further down the Maypole. This is probably a very good idea, because it’s very easy to lose control of the longest sets of tongs when you’re only gripping it from the furthest end. As you can see, the tongs get very long. 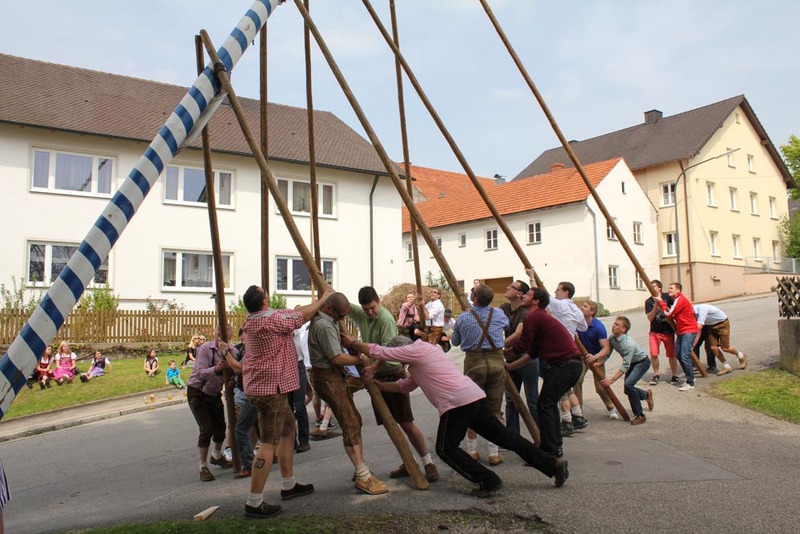 Once the Maypole is entirely vertical, metal plates are bolted across the open side to keep it from toppling over again. A few pieces of wood are wedged into place to hold the pole steady. Finally, a quick bit of spot-welding on the bolts keeps them from coming loose for the next few months. After all of this, Voila! A lovely Maypole has been set up in the village of Peising. 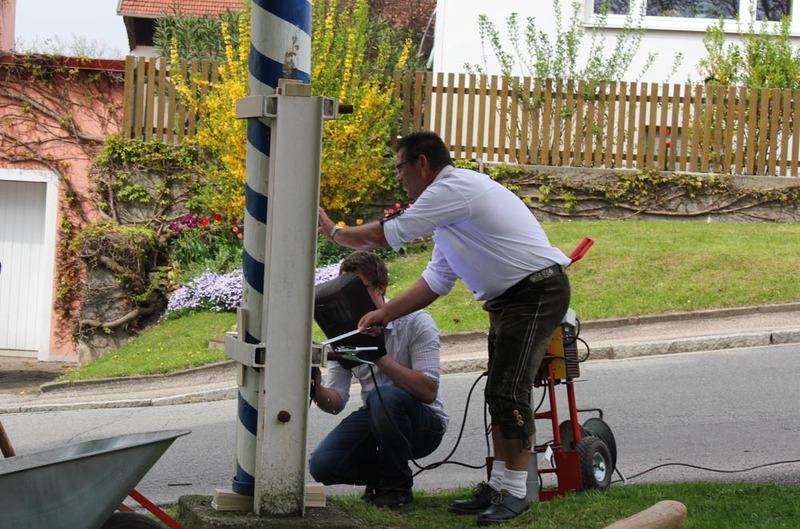 The blue and white stripes are traditional; they’re the colors of the Bavarian flag. 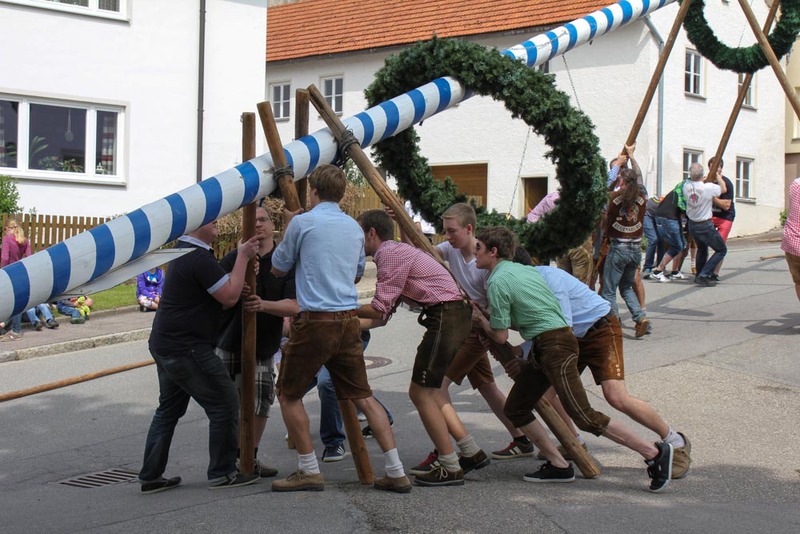 Once the Maypole is fully raised, everyone settles back down for beer and bratwurst. And, in my case, chocolate cake. 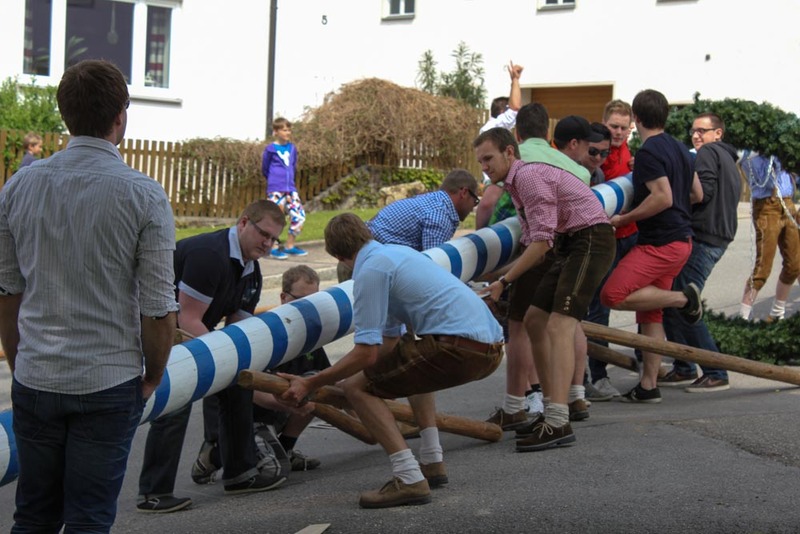 Have you ever seen a Maypole raising? I saw it for the first time this year in Prien am Chiemsee. It was definitely cool to see in action! I had never even thought about how they put those dang things there – very cool! And pretty sure there is noting cuter than German children in tracht. Hey, just recently found your blog. And yes, I just went to my first May Day celebration in Salzburg! 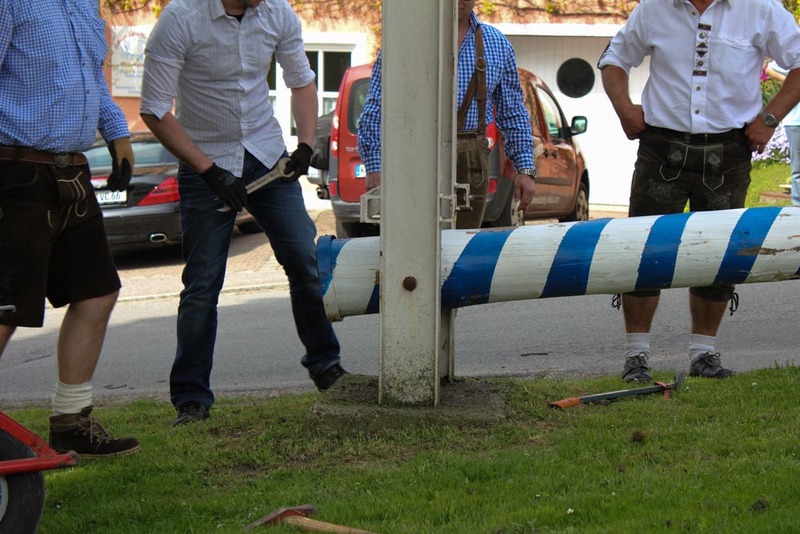 I watched from a bit of a distance, but it looked like they just put the Maypole into a hole in the ground…? The metal plates and the welding sound a bit sturdier. Reading your post, however, alerts me to the sad lack of Lederhosen-clad little boys in mine! Holes in the ground (which are reinforced) are rarely used (at least in and around Regensburg) and if so, they’re mostly used for smaller Maypoles. However, I’m sure that bigger cities may use this kind of fixation to avoid any danger of an injury coming from people running into the metal structure (I’m quite sure that the “open” structure is cheaper and easier to maintain than a structure in a hole). So cool! That’s on my list of things to see sometime here… guess I’ll have to shoot for next year. 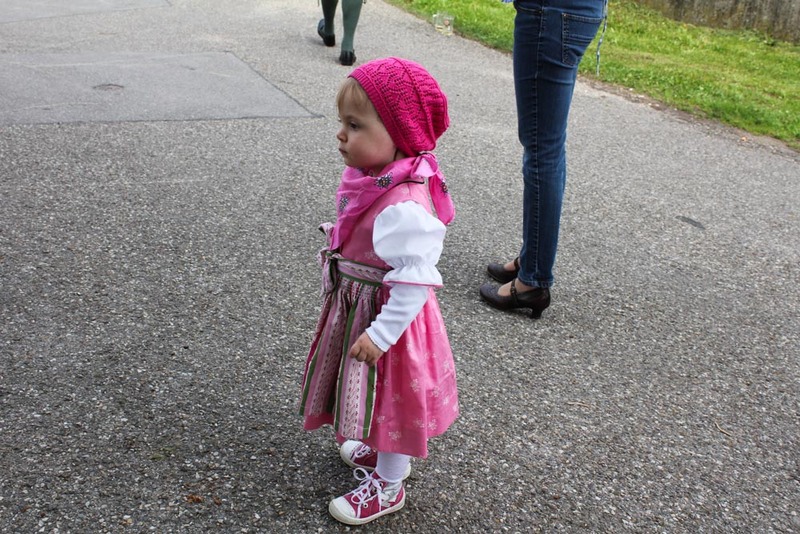 And yes, kids in Tracht are among the cutest things in the world. 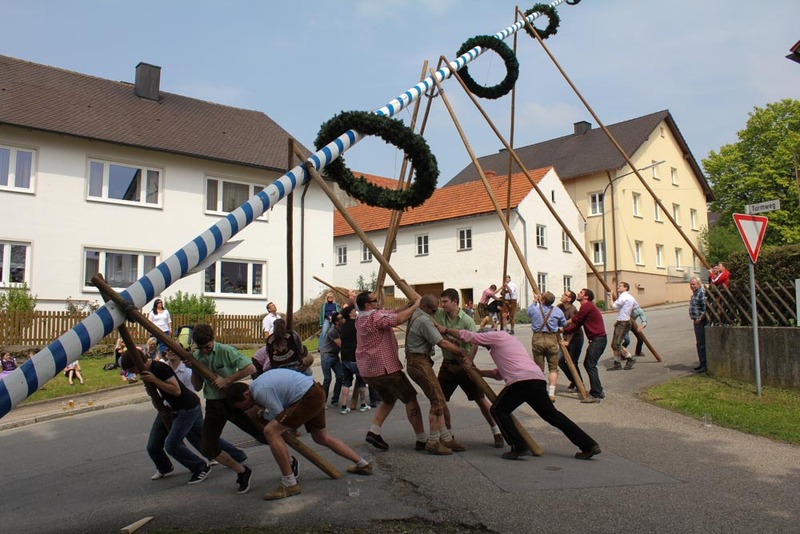 Someone was just asking me if Germans do a Maypole celebration, and I wasn’t sure – so thanks for clearing that up 🙂 I’ve never been to a real one, though I feel like it’s something we did in school every year growing up in the U.S.
Wow. I had no idea they did this. Funny! 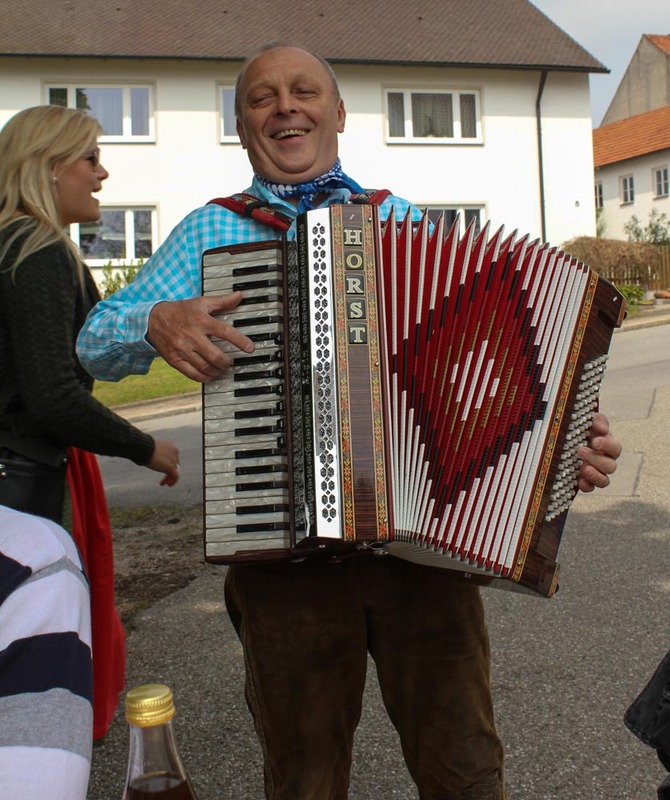 I love how in Bavaria you’ll see people wearing traditional clothing. I guess you have that in Hamburg a bit too, with sailor’s shirts and hats, but not really all that much. 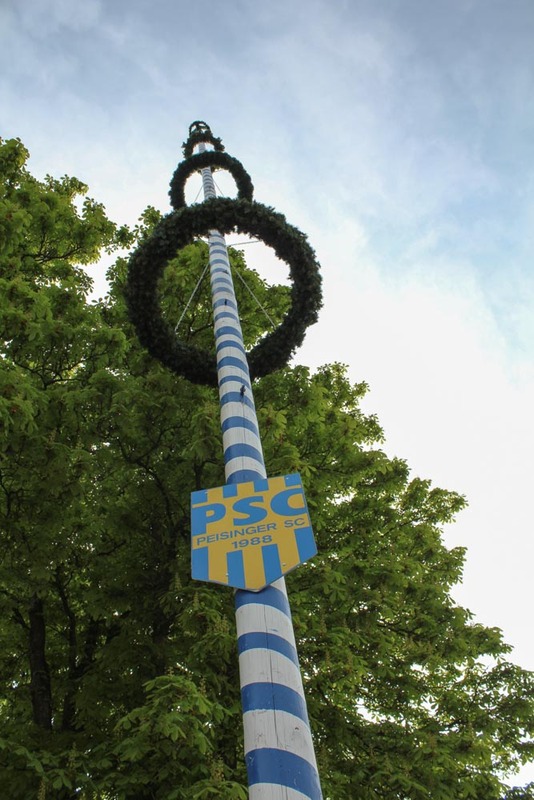 where can I find a schedule for 2014 that shows maypole being raised next year in Bavaria? 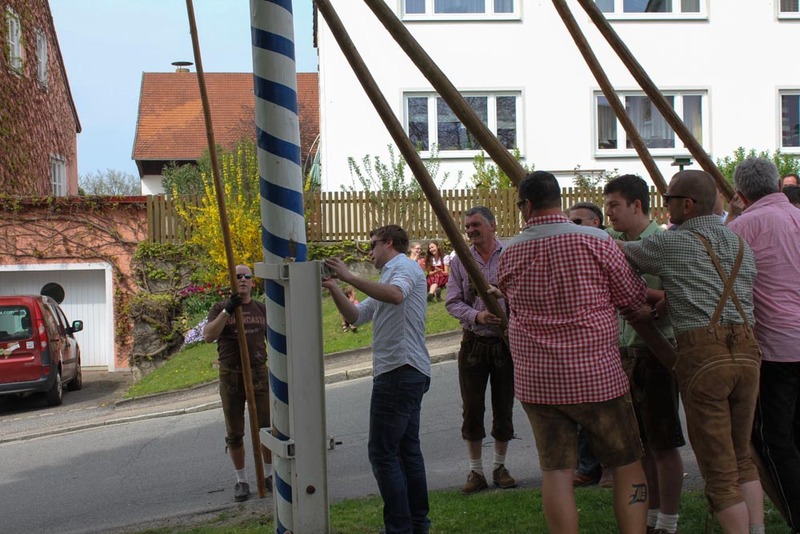 Maypole raisings are generally done by local government or the residents of a village, so your best bet is to take to your favorite search engine during that time of year.